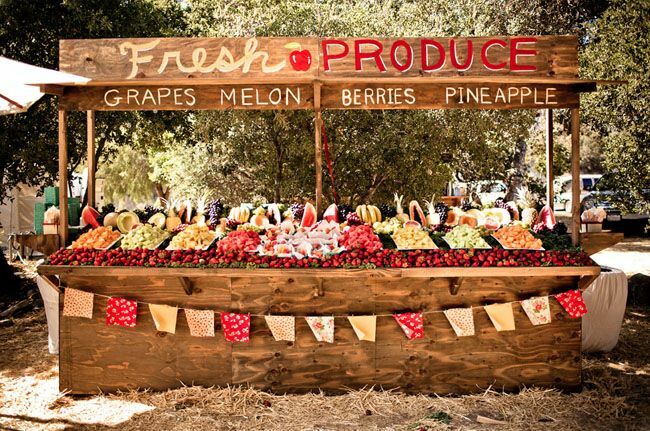 Impressive Catering Trends For 2014! Well, you don’t have to ask me twice to write about food! 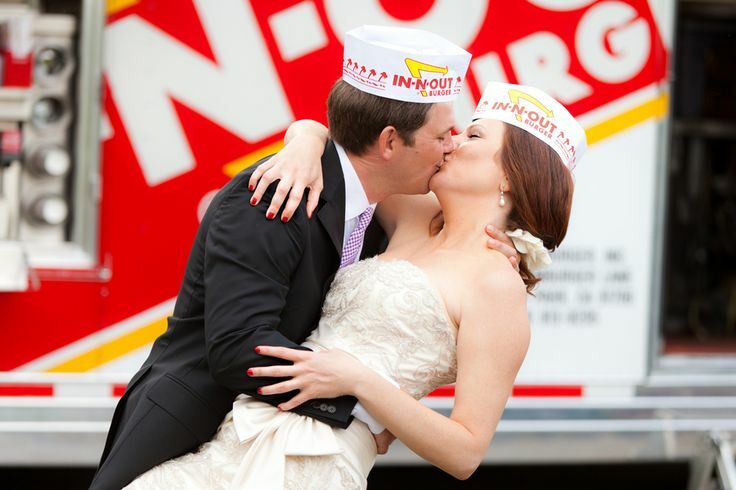 I do consider myself a foodie which makes me VERY excited to write about the latest catering trends that couples are jumping all over for their weddings. 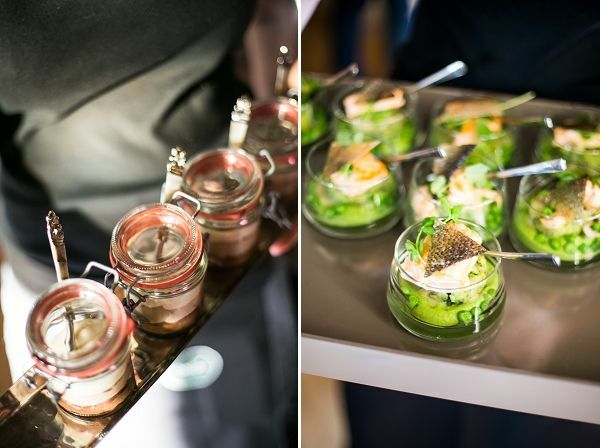 Wedding food is often deemed boring or bland lacking creativity and taste. However, our country does not fall short of amazing chefs and caterers thus making spectacular wedding food within reach regardless of where you live. 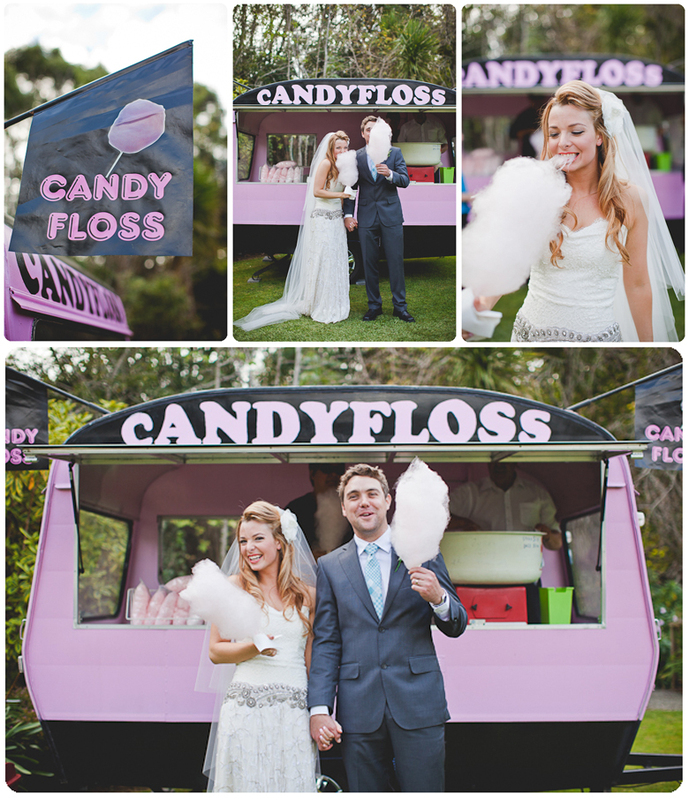 For centuries, food is what brings us together and often a must have at any celebration! 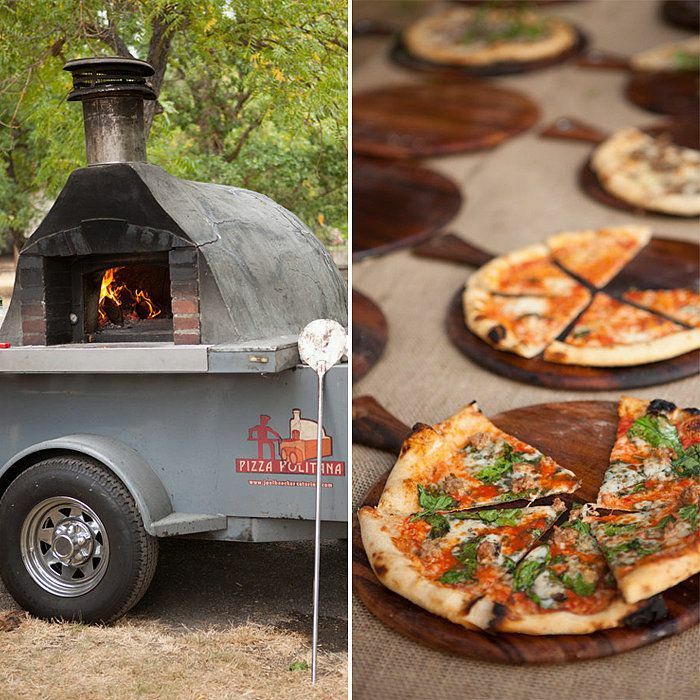 From organic and local menus to food trucks to exquisite fare, the spread that a couple chooses to serve at their wedding greatly reflects who they are as a couple. 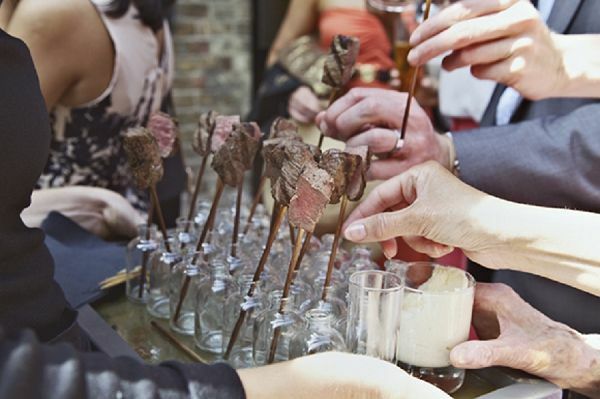 Join us as we dive into these incredible catering trends of 2014! I had to start with this trend because it is by far my ABSOLUTE favorite! 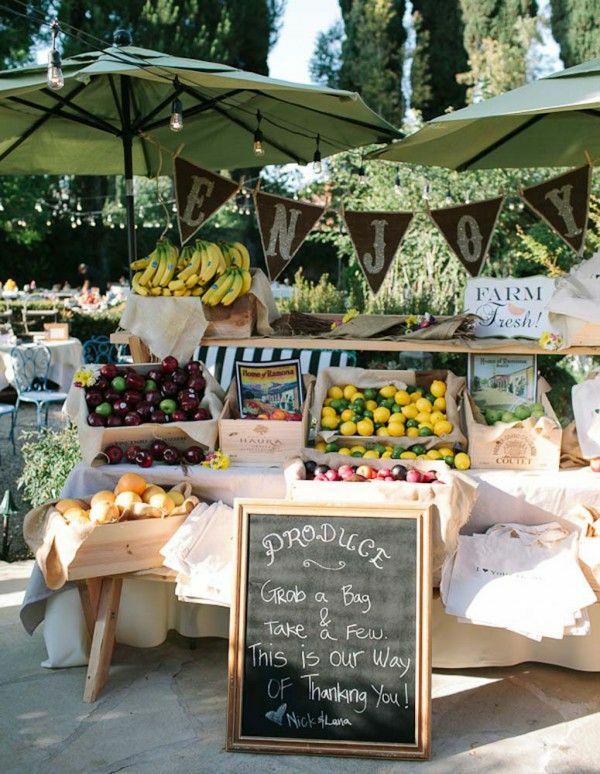 What a great idea for your guests to enjoy during the wedding and as a take home favor. 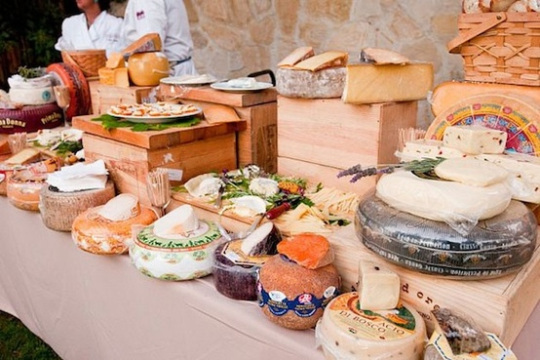 Artisan cheese stations! Need I say more? 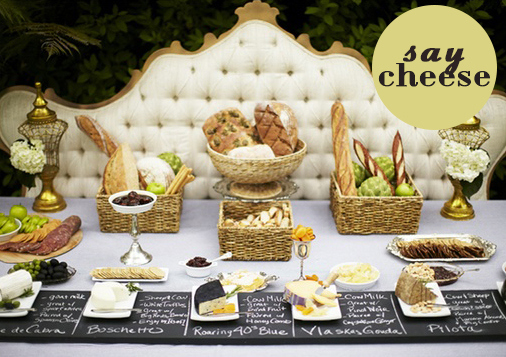 I love a good cheese tray but a whole spread of cheese, jams and accompaniments? 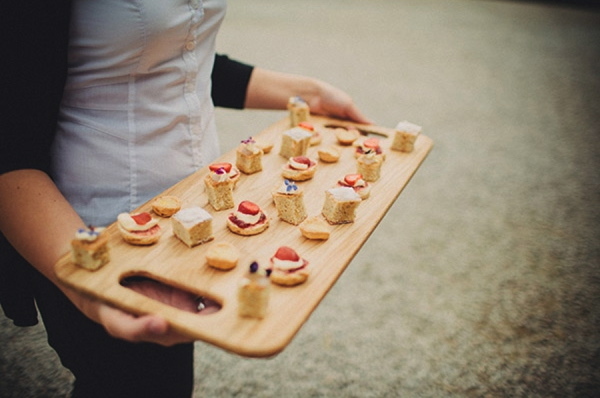 say no more…..
Canapes! A canape is very similar to an hors d’oeuvre; the main difference is that they are served on a board and usually bite size therefore requiring no eating utensils. Canapes are traditionally made with a base of bread and then savory meats and ingredients on top. Above this photo you can see the difference with the hors d’oeuvres! 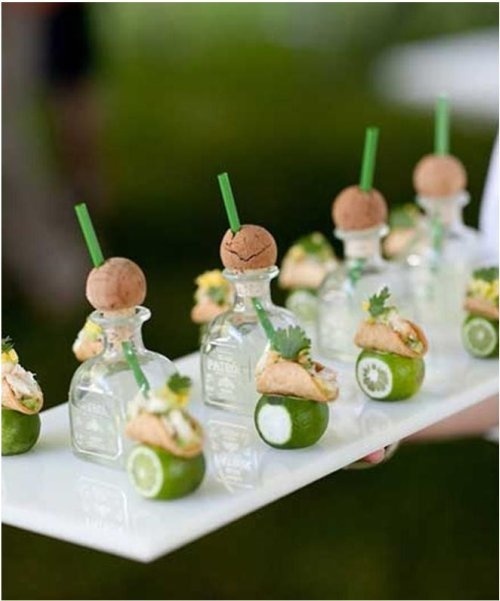 Who wouldn’t want a shot of Tequila with their mini taco perched atop of a lime??!! Yum! 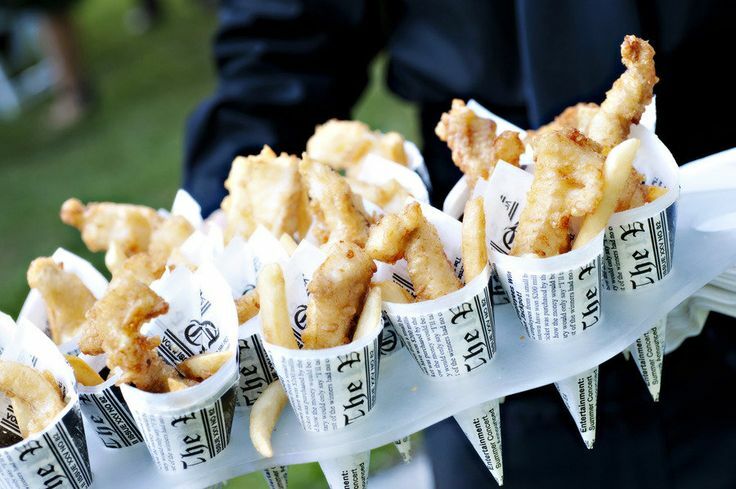 Fish and Chips…I would love to try this trend…how unique! Food trucks made their appearance a few years ago but making a steady up-rise are food CARTS! Hello goodness! 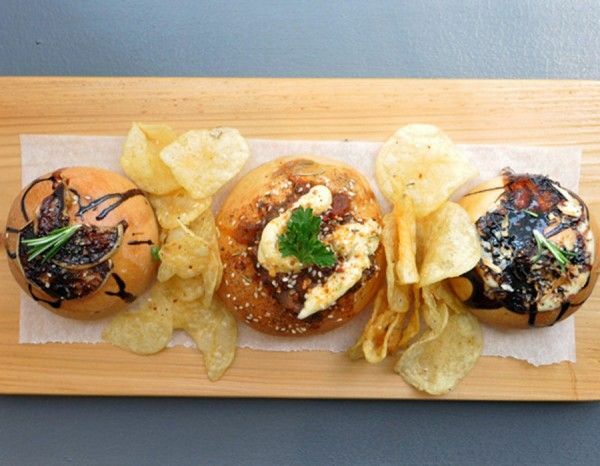 This is a great way to impress your guests with gourmet food in a trendy and eclectic fashion! Tantalizing Treats! 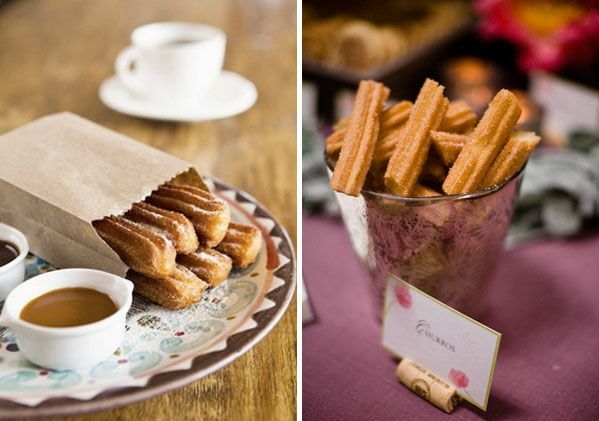 Unique dessert options and late night snacks are the perfect way to surprise your guests with a sweet ending!